A year ago, 88-year-old Jean Lavender used to find walking any distance a struggle. Now she is keen to get outside for a walk most days. And she puts the transformation down to the most simple of medicines - water. 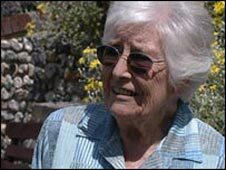 She is one of a group of residents at a care home in Suffolk who have been encouraged to increase their intake of water. And they have all reported dramatic results. Jean says she feels 20 years younger. 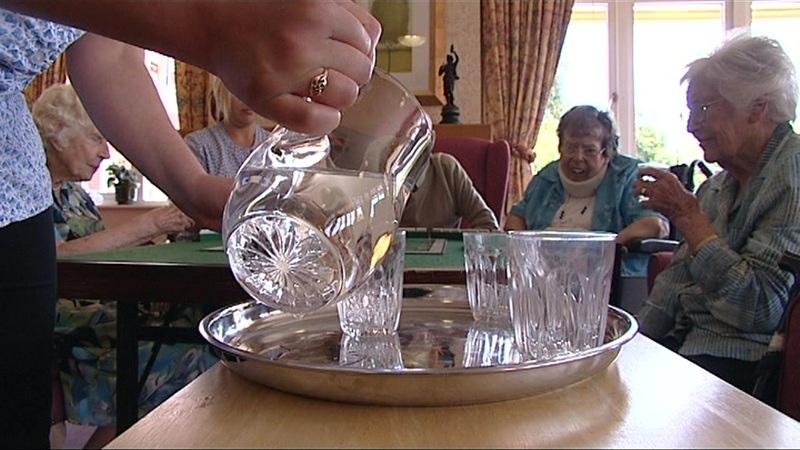 Staff at The Martins care home in Bury St Edmunds started a "water club" for their residents last summer. Residents were encouraged to drink eight to 10 glasses of water a day, water coolers were installed, and they were each given a jug for their room. They report significant improvements in health as a result - many fewer falls, fewer GP call-outs, a cut in the use of laxatives and in urinary infections, better quality of sleep, and lower rates of agitation among residents with dementia. Doctors have long highlighted the risks of dehydration for elderly people. It can cause dizziness and potentially serious falls, constipation, and confusion. While most people's systems can adjust to insufficient water, frail old people are far less equipped to cope. So when Wendy Tomlinson, a former nurse, took over the management of the charity-run home, she suspected that drinking more water might help the residents feel better. Even she has been surprised by how much difference it's made, though. "It's been fantastic," she said. "The whole home buzzes now; there isn't that period after lunch when everyone goes off to sleep." For Baroness Greengross, a cross-bench peer, it reinforces a conviction she has had for some time now - that many old people simply are not drinking enough, and it is harming their health. She wants to see tougher regulations in care homes across the UK, so that staff have to make sure residents drink enough. "We hear a great deal about malnutrition among old people," she says. "But we forget about the need for them to have enough water. It shouldn't be very difficult to change the habits of care staff."